established Lookalike & authentic American accent Sound alike. and also an ideal choice for Holiday Parties. known faces on the musical tribute and lookalike scene. Invite Blondie Look alike Impersonator to you next event. She is always a huge hit and everyone will love her. Weather it is a full show or meet and greet and photo opts. 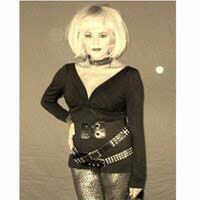 She is the most requested ant number one Deborah Harry Blondie Celebrity Look Alike impersonator in the world.